With all of the Uni-Ball Signo 207 pens I have laying around the house (I'm guessing at least a dozen in various flavors), I was surprised to realize I have only ever reviewed one of them on The Pen Addict previously. Along with the Pilot G-2 and the Pentel Energel, the 207 rounds out the trinity of the most popular gel pens on the shelves. Some may argue for others that are their favorites, but these three get the most run by far. The real selling/marketing point of the 207 that sets it apart from the rest is the special gel ink. Called Super Ink, it works by getting trapped in the paper, which helps prevent the ink from getting washed out of important documents by nefarious types. You can read more about Super Ink directly from the Uni-Ball site. What I like about the pen doesn't go that deep - I'm more of a superficial guy. ;) The pen looks and feels fantastic, and the black gel ink in most of my 207s lays down a very nice, dark line. This needle tip model took a bit of hunting down, with a reader coming through with a sample for me to try. Needle tips are my favorite style of gel or liquid ink pen, and this pen is now my favorite 207. There is just something about it that appeals to my eye. 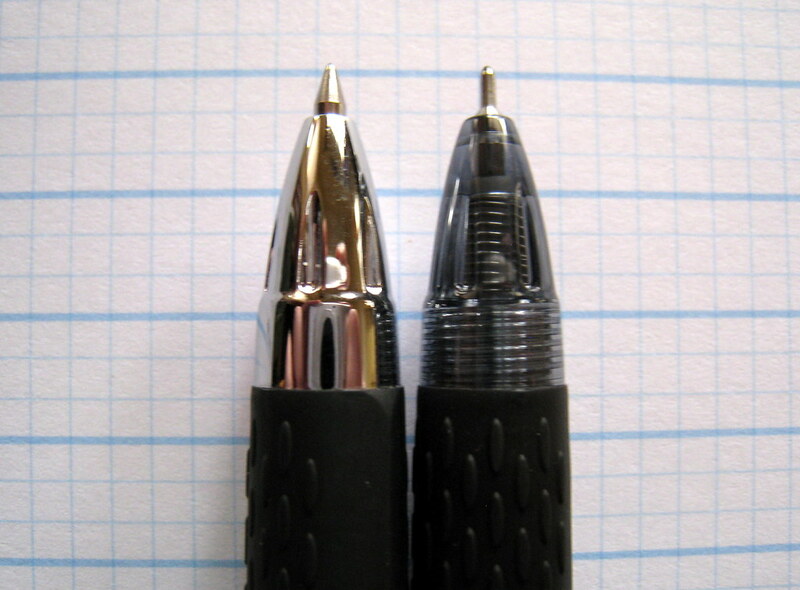 One thing I find different about the 207 than with most other pens is that I prefer the 0.7mm version over the 0.5mm. This almost never happens with me, but the 0.7mm 207s are far more consistent - especially the blue ink models. But really, this is a great pen, one you can recommend to anyone for any use. And one of those uses includes doodling, which my blogging buddy OKAT at Doodlers Anonymous takes very seriously. 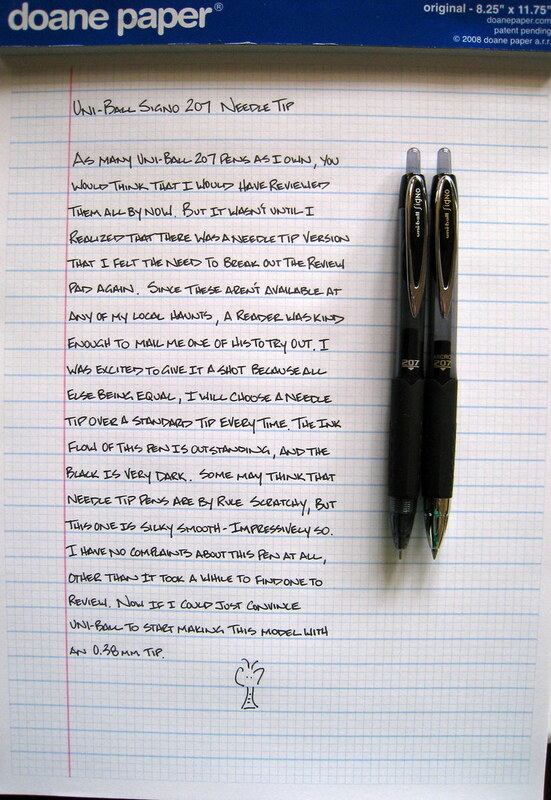 The Uni-Ball 207 is his doodling pen of choice, and wants the world to know about it. Here is a sample of his handiwork, plus links to more here and here. Thanks for sharing OKAT! Posted on April 8, 2009 by Brad Dowdy.